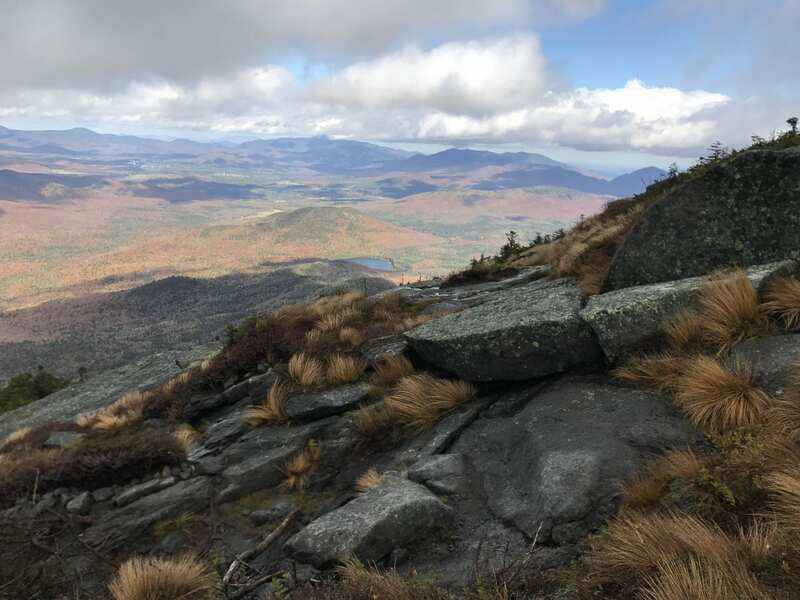 Can Any Adirondack Hike Top Franconia Ridge? Franconia Ridge as viewed from Little Haystack. Photo by Phil Brown. I haven’t spent much time in the White Mountains of New Hampshire, largely because there is so much to do here in the Adirondacks. It was a case of not knowing what I was missing. In late August, Carol MacKinnon Fox and I spent four days in the Whites, hiking and rock climbing. One of the highlights was a hike on Franconia Ridge. It’s a nine-mile loop that takes you over three of New Hampshire’s tallest peaks: Little Haystack, Lincoln, and Lafayette (at 5,260 feet, the highest of the three). We took the Falling Waters Trail (which lives up to its name) for 3.2 miles to Little Haystack, hiked along the ridge for 1.7 miles to Lincoln and Lafayette, and then descended by the Greenleaf Trail, stopping along the way for refreshments at a hut maintained by the Appalachian Mountain Club. We spent a few hours on the narrow ridge and lingering on the summits, all the time enjoying stupendous views in all directions. This got me wondering if any hikes in the Adirondacks compare to Franconia Ridge. 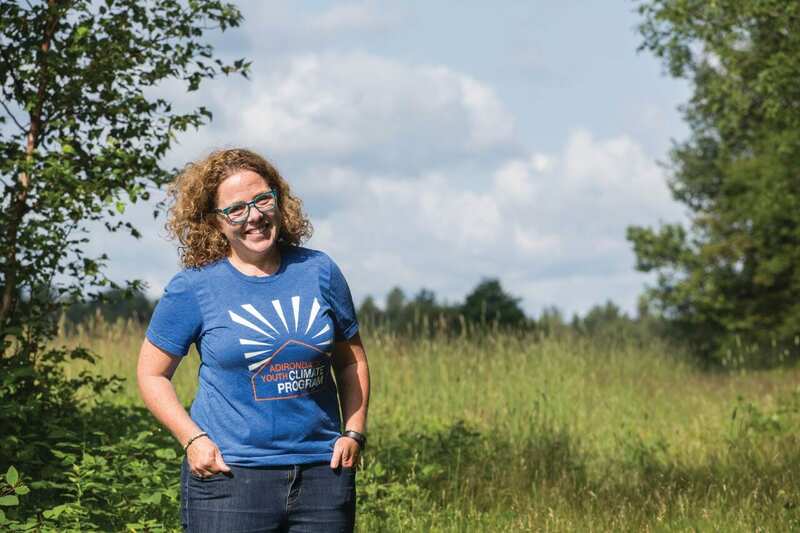 Some candidates that come to mind are the hikes from Algonquin Peak to Iroquois; up Rocky Peak Ridge and Giant; and along Jay Mountain’s ridge. All offer continuous views. I should note that the author of 100 Classic Hikes knows the Adirondacks well. 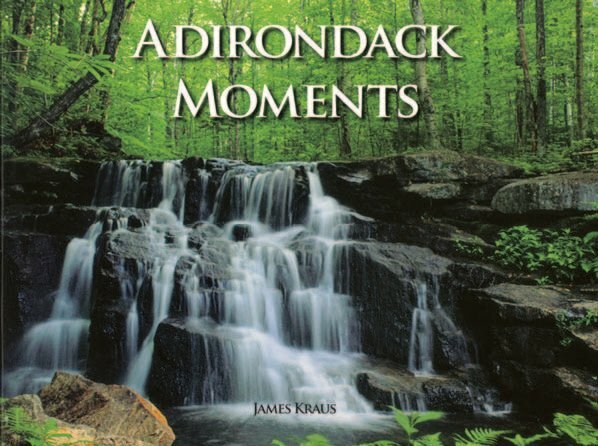 Indeed, his book includes eighteen trips in the Adirondacks. What do you think? 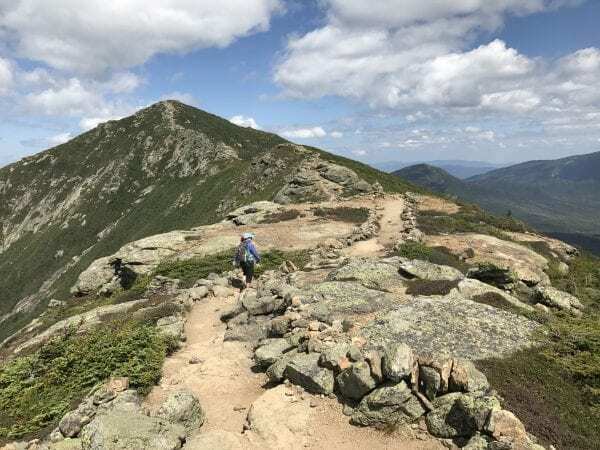 Is Franconia Ridge the best hike in the East? If not, what is? What is the best hike in the Adirondacks? It’sa fantastic hike however the crowds rival the crowds on MArcy, I would prefer something a little less populated even if it’s not as spectacular. Franconia ridge is truly tough to beat. Bonds are also spectacular. Marcy can’t compare. Giant or Algonquin are competitors but still fall short. Yep, I completely agree about the Bonds, especially Bondcliff.